When it comes to something as important as neurosurgery, you want to make sure you are working with the very best possible ultrasound equipment that meets or exceeds the original manufacturer’s specifications. 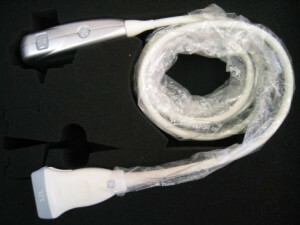 That’s exactly what you will find at UsedUltrasound.com, where we have a complete selection of used neurosurgery ultrasound probes and transducers for sale from all the leading ultrasound manufacturers. Browse through out neurosurgery ultrasound probes and contact us today if you need a price quote or any additional information. In addition to selling quality refurbished neurosurgery ultrasound transducers and probes, we also have neurosurgery ultrasound machines at prices that can save you as much as 60% off the original retail cost. Plus, we stand behind everything we sell with a 100% satisfaction guarantee that you simply will not find from most other medical equipment companies. We also have a professional staff of ultrasound experts who can answer all your questions about ultrasound financing, shipping and more. We even provide ultrasound repair and ultrasound service contracts to help you save even more money. Call us right now at 877-661-9911 to talk directly to an ultrasound expert. When it comes to the best prices on used neurosurgery ultrasound equipment, there is no reason to look anywhere, but we are so confident in our low prices that we invite you to do. We are happy to provide a current price quote on any refurbished neurosurgery ultrasound probe, even if you are just comparing prices and not looking to make a purchase right away. 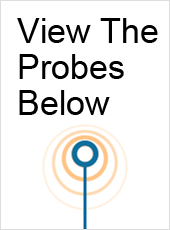 We can also help locate any hard to find ultrasound probes you are looking for, and we can find them for a lower cost. Contact us today to get a price quote on any neurosurgery ultrasound probe or any other used ultrasound equipment for sale on our website.